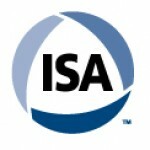 ISA Will-DuPage Members – this includes ISA Will-DuPage Section Members as well as ex-ISA Chicago Section Members. If you haven’t yet heard the ISA Chicago Section charter has been revoked. This decision has been made by ISA and is due, unfortunately, to lack of activity. It is done! Now the good news ISA Will-DuPage has absorbed the members of the ex-ISA Chicago Section. In an effort to try and increase participation ISA Will-DuPage has agreed to hold three Section Meetings in the Chicago area. The problem is we need to know the best place to hold these meetings. 1. ISA Will-DuPage will soon be sending an email survey to gauge interest in when & where these meeting could be held. Please respond and provide your feedback. This will be invaluable in setting up these meetings and being successful. 3. Continue your support, with your active participation. From a personal perspective I started in ISA Chicago, as did many of the ISA Will-DuPage Board Members. I believe I can speak for them when I say that our vision is active participation in the Chicago area.